Hello, hello! I wanted to wait until my finals were over before I wrote my final post for the school year. Thank you for following me and reading my posts. It’s greatly appreciated! I hope my posts have been helpful and that you all get a chance to go to these great places. Feel free to tweet (@KELeidoscope_) or email (kelci.reedy[at]gmail.com) me over the summer. 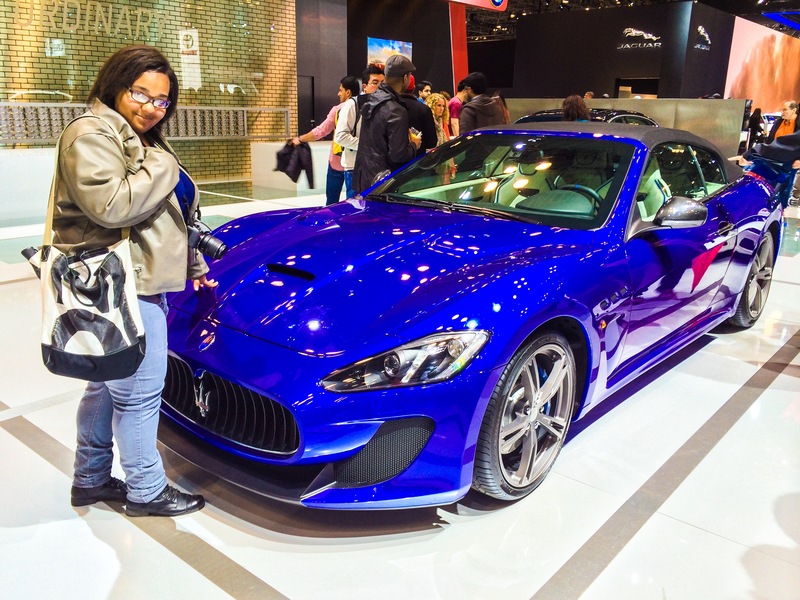 I look forward to the NY International Auto Show (NYIAS) every year. If you know me pretty well, you know I love cars! One of my friends told me about it my freshman year of college. I went for the first time in 2012 and instantly fell in love with it. This year, I didn’t get to see every car, but I was happy that I got to see most of the cars I love. Rolls Royce, Mustang, Beetle, and more! 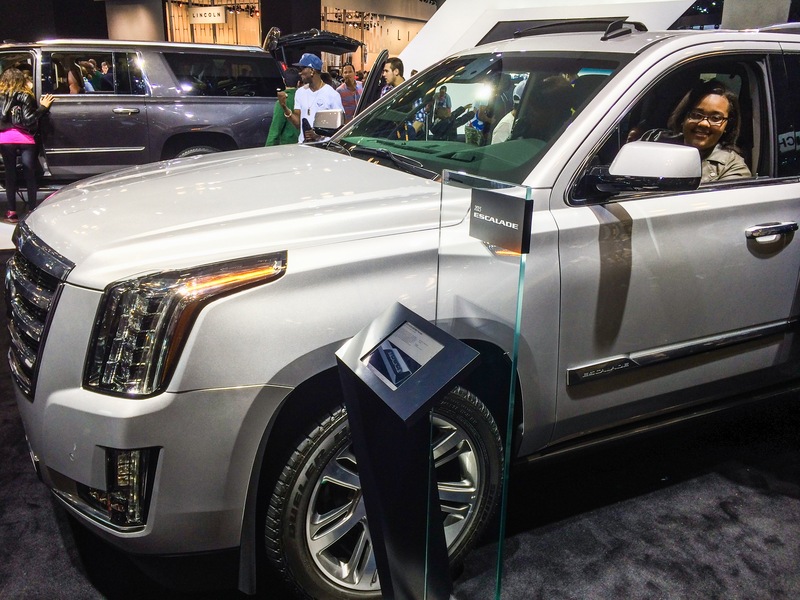 One day, this Escalade will be mine! Photo creds: Alicia. 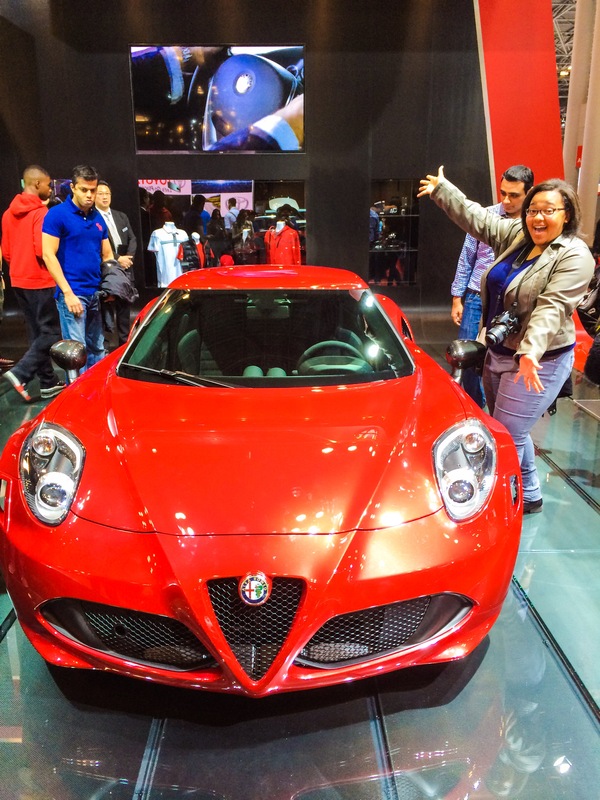 Look at this beautiful Alfa Romeo 4C! Photo creds: Alicia. Look at this gorgeous Maserati Granturismo convertible. Photo creds: Alicia. Candy paint! I’m in love with this green apple Dodge Challenger. Photo creds: Alicia. 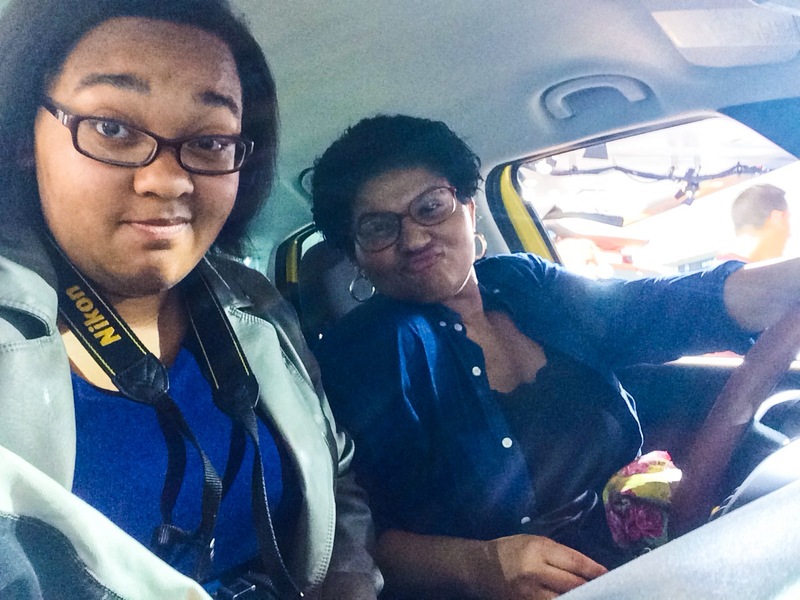 Fiat 500 selfie with my sister, Alicia. Yes, I got to be close to a Granturismo AND a 4C. Unfortunately, people weren’t allowed to sit in these vehicles. I didn’t have the same opportunity the first time I attended the NYIAS, so I was glad they let people get this close this year! The Challenger is one of my favorite American cars. I don’t like Fiats, but I guess the 500 is an exception. 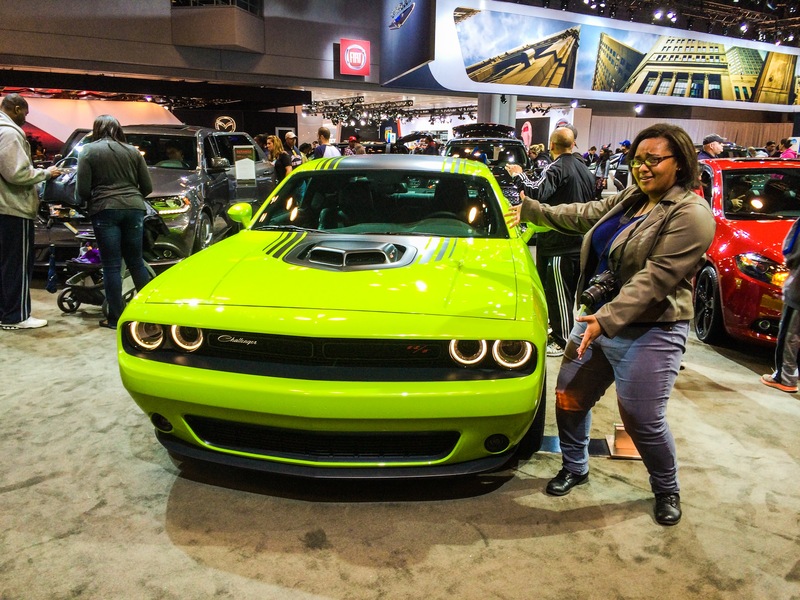 If you have not been to NYIAS and you love cars, you NEED to go! The vehicles definitely look more beautiful in person.